Thiruvananthapuram became the 19th venue in India to host a T20 contest and saw a series-clinching victory for the hosts. In what was clearly a glorious moment for Thiruvananthapuram and cricket in Kerala, action returned to the city after a period of 29 years. And when it did, in its first T20, the action was delayed but the wait was worth it for the packed audience at the Green Field Stadium. 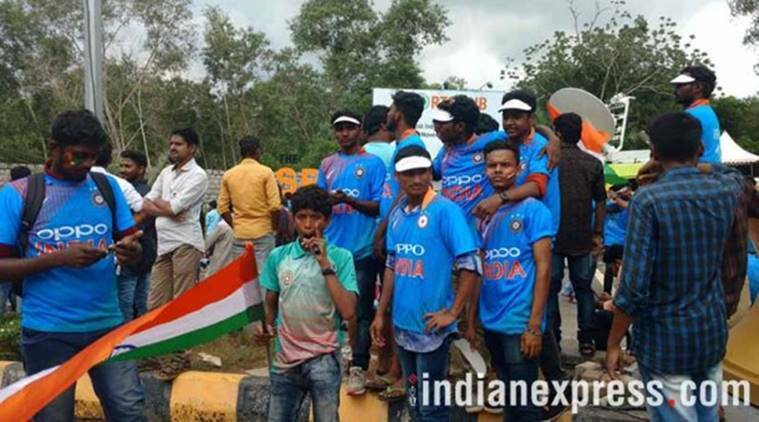 They not only witness an India win but saw the game go right down to the wire with the hosts winning by 6 runs. Skipper Virat Kohli expressed surprise at the venue not getting a game for such a long time and applauded the crowd for turning up in large numbers. The contest also left India nervous for a while due to the damp nature of the surface following consistent rain from the afternoon. “I think we were really happy to get a game. This crowd deserved to watch some action. Ever since the ODIs started, we expected them to give a good fight. We were nervous to start here, with the damp pitch,” said Kohli after India won the eight overs a side contest. India scored 67/5 after being put in to bat first and the Kiwis could muster 61 runs in reply – falling short by six runs. Jasprit Bumrah emerged as a key element to the win with two wickets and reducing any chances for a Kiwi fightback with a strong penultimate over. “We have won a few on the trot and it makes us very proud. This stadium is beautiful, the outfield wonderful and the crowd made it special. I am surprised there were no games here earlier,” he added. New Zealand captain Kane Williamson praised India for winning the pressure games on a regular basis that made them one of the best teams in the world. “It was a tricky surface and runs on board on that surface was handy. It came down to the couple of deliveries. Shame to not get across the line in this decider. As soon as you ran your fingers on the ball, it made life difficult,” said Williamson. “In this part of the world, wickets can be flat. We showed good fight. You have to be on top of their game to win here, they are one of the best teams in the world. I think there have been number of strides forward for us. Fairly new group and it’s not easy, guys coming here for the first or second time. It’s a tough place to play,” he added.